My thoughts, my ideas, my found stuff… shared with you! These are links to my other active profiles/sites. Galaxy Fold – Not very stable! Stratolaunch – Roc is flying! Qualcomm vs. Apple – Aftermath! Notre Dame in Paris severely damaged! Pianoman on Happy bday, pal! Netspark on The new SimCity – pre-Ordered! Rosiv on The new SimCity – pre-Ordered! Captain on How’s C&C Generals going? 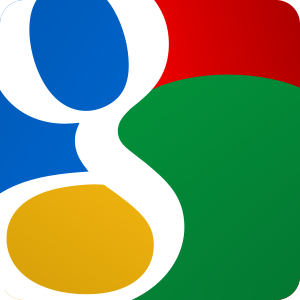 Google fined for 1.69 billion US$! New security flaw in Chrome detected! browser seems to reveal much more about it’s user than expected! not removable. Ad blockers were the answer. It’s official: Project “Edge” has been buried by Microsoft. engine “market” is now shared among two competitors. 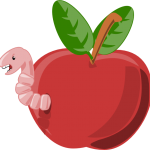 AWDL up to iOS12.0.1 vulnerable! mobile wireless solutions also brings up new problems. Siri pendant when it comes to automatization onboard. there’s some more subtle yet recognizable Aprils Fools news. If possible, I’ll consolidate the best ones here for you. paid directly, has been forked out by Facebook to seal the deal. announced to encrypt their traffic between the data centers. There were llegal price fixings among the three concerning employment. Opera 12 are now grampys in the browser world, you’re wrong! pictures on the ‘net about the inside looks of Google’s computing centers. Till now. Google has oficially put together a gallery about their holy cow. Don’t mess with Google – You’ll loose! cussed such a fee as Germany already has set up plans for the government. that no usr confirmation for the cookies was needed. of small releases (and I consider 23 bugfixes as such) is a minor number upgrade. Such as Firefox being at 13.0.1 right now. But there’s good stuff, also inside. When it comes to a new iOS version, there’s also a new iDevice on the roll. the newest iGadgets, can also be great news for those with actual iDevices. online storage services. Google Cloud has been announced yesterday. against YouTube for allowing broadcasts of unlicensed clips and music materials. Grey clouds over Facebook, Apple & Co. Seems as if Apple, Facebook and 16 other companies are facing rough times. Twitter, Electronic Arts, RIM, HP, Microsoft, Amazon and others. a walkthrough guide on Kid Icarus 3D Classics on the 3DS. No problem, you say? JFGI? WebP going to replace PNG? WebP? PNG? These two acronyms areunfamiliar to you? nately WebP isn’t supported well by now. Apple could get these days. So which patents has Apple violated anyways? Firefox goes 9… and goes Tablet! on the next version also. The new things? Tablet support! Sounds great! Check the pics in this post. Have a nice wednesday evening! Apple has done wrong prediction! Apple’s new iPhone 5 as NFC would have no future is now in Android phones! What NOT to do when StreetView is there! Google buys Motorola cell phones! 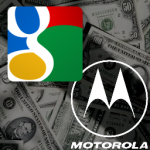 Google has bought Motorola’scell phone division for approx 12.5 billion US$! step was only a logical conclusion. The name Motorola will still exist though! 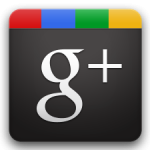 Google+ soon to be like facebook? connected to the public traffic. 3 days ago, it happened… the car crashed into another! feature of it’s website redering engine is “Pre-Rendering”. But what does it mean? Last but not least I am also part of the Google+ community. Why, you ask? there’s a new facebook killer on the way garnished with a demo.